Kellogg's this week announced plans for a gluten-free version of its popular Special K cereal. Hitting store shelves in mid-December, Special K Gluten Free "features multi-grain flakes (corn, sorghum and rice) with a touch of brown sugar," according to the company's press release. A customer-service rep I spoke with yesterday told me that the cereal complies with the FDA's gluten-free labeling requirements (tested to contain less than 20 ppm) though it is not manufactured in a dedicated facility. The new Special K joins gluten-free Rice Krispies in Kellogg's gluten-free cereal stable. 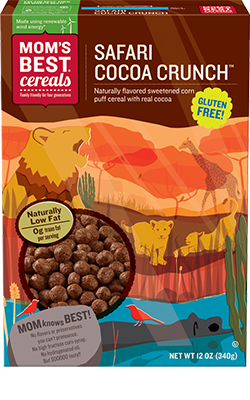 The new Cocoa Puffs-like Safari Cocoa Crunch cereal from Mom's Best is also gluten free. Also on the gluten-free product watch, look for Entenmann's-style Rebecca & Rose branded chocolate covered donuts at Passover. My Tuesday post has details on that and other holiday items announced at last week's Kosherfest food show. In local restaurant news, Norristown now has its own all-gluten-free restaurant, where the entire menu is also organic and vegan. Gangster Vegan (2454 W. Main St., 610-630-1600) serves juices, smoothies, raw food and desserts. Thanks to reader Kristen B., who let me know that Finizio's in Westmont (40 Haddon Ave., 856-831-0842) has gluten-free pizza, ziti and wraps, all prepared separately upon request. Big Fish Seafood Bistro in Princeton (3535 Rt. 1. S., 609-919-1179) offers a gluten-sensitive menu covering appetizers through dessert and featuring fresh fish options. In Langhorne, the dinner menu at the Bridgetown Mill House (760 Newtown-Langhorne Rd., 215-752-8996) notes gluten-free options; there's also flourless chocolate cake available at dessert. The newly opened Pietro's in Radnor (236 N. Radnor-Chester Rd., 484-367-7072) serves gluten-free penne and Angry Orchard hard cider in bottles. Request that the pasta be prepared in a separate pot with fresh water. 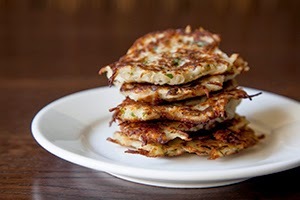 The Gershman Y's 12th annual Latkepalooza Hanukkah celebration will feature at least one Philly restaurant serving gourmet gluten-free potato pancakes: Vedge's Hamon sweet potato latke with black garlic, which will be prepared on gluten-free equipment. (There may be another gluten-free entry still to be announced; check my Facebook page and Twitter feed for updates.) The event will take place on Sunday, December 7 from 2 p.m. to 4 p.m. at the Y (401 S. Broad St.). There'll be live music by Kids Corner favorites The Plants, Magic by Poly, balloon animals and face painting and Hanukkah crafts. Tickets are going fast but are still available.